My VMware vSphere Homelab Video. I’ve finished the setup of my homelab so I thought that It’s a good idea to shoot a video of it. It’s modest lab, with 2 whiteboxes running Intel quad core i7 920 and i7 960 CPUs with 18 Gigs of RAM each. The shared storage is running FreeNAS 8 and it’s a Do It Yourself NAS box, which I built myself. 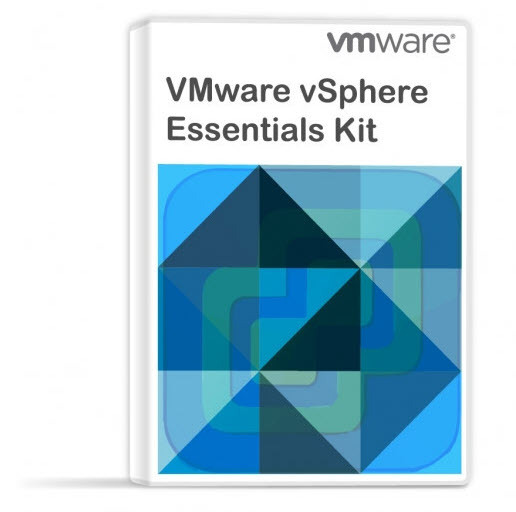 You can see the building process here: How to build a low cost NAS for VMware Lab. Since I haven’t got a rack, and I did not want to have the boxes with the NAS device installed on my desk, I installed the lab in a cupboard… One might think that it’s quite original, but it’s also “esthetically” well done, since you can close the front doors to hide “the stuff” inside if you want to. The ventilation is still insured even the front doors closed since there is plenty of room for the air to keeps flowing. 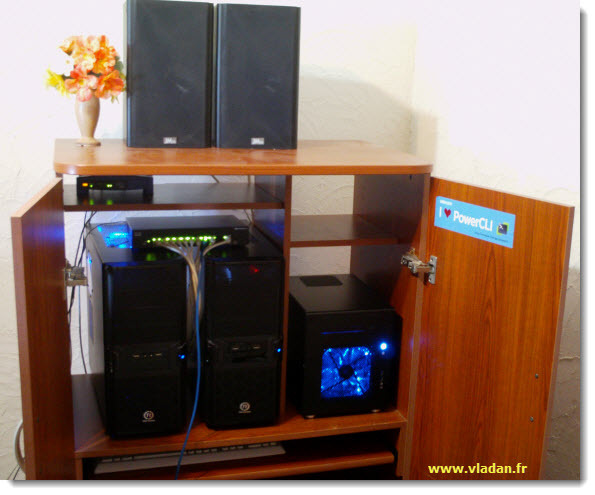 The lab was started to be built actually last year, when I assembled one whitebox, which I used with VMware Workstation and some nested ESXi servers, with running nested VMs……. an “Inception” style lab. But the lab had some limitations, like not a possibility to run VMs in Fault Tolerance and also the speed of the nested VMs was so so…but good enough for learning VMware vSphere… -:). So now I have plenty of RAM in my white boxes (one must say that the recent RAM price drop helped a lot). And a real shared storage (not an appliance) makes me feel the same way as I use to work on server hardware and server equipment…. The cost? I don’t have the exact amount, but at least the most expensive part of the lab – the NAS device – cost me about half the price of an commercial device with as a bonus 2 more SATA ports, which are used for my 2 SSD’s. Another thing I would like to point out is the silence. My working desk is next to the “Rack” and I can bearly hear the noise of the Fans. I must say that I paid a particular attention to the choice of Power Supplies. I created a dedicated LAB page on my blog where you can read all the details there. Now , below is the video I shooted with my small Camileo camcorder. Without external mic the sound is what it is…. Enjoy… -:) Best viewed in HD and Full screen.. If you see any typos, sorry about that. I like your home lab. I want to pull test lab on my laptop. What do I need to get it started?